The Future of Capitalism; Facing New Anxieties (2018) | Moral Markets? 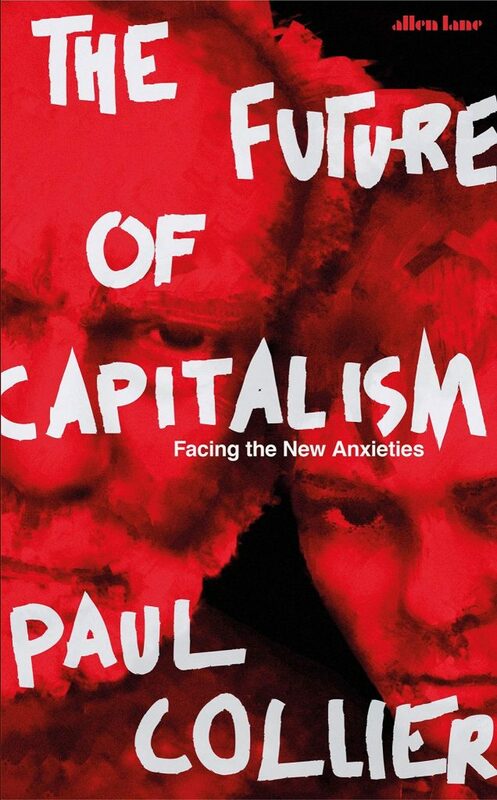 The Future of Capitalism is a passionate and polemical book, in which celebrated economist Paul Collier outlines brilliantly original and ethical ways of healing these rifts - economic, social and cultural - with the cool head of pragmatism, rather than the fervour of ideological revivalism. He reveals how he has personally lived across these three divides, moving from working-class Sheffield to hyper-competitive Oxford, and working between Britain and Africa, and acknowledges some of the failings of his profession. "Paul Collier, who made his name as a development economist, is nothing if not ambitious. He has a plan for healing three great rifts: the geographic divide between declining provincial towns and thriving metropolitan centres; the worldview and value divide between the educated and the less educated [...]; and the global divide between rich countries and poor. He has original things to say, both in his diagnosis of the three rifts and in his policy solutions. For Collier belongs to that sadly small band of truly useful social science academics who read the most relevant research, transcending the narrow specialisation of the academy, and apply it in a pragmatic manner to contemporary problems. 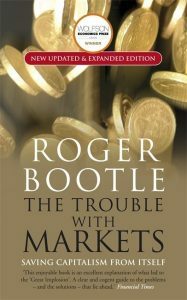 [...] Above all he understands that the roots of our current discontents are not just economic but cultural and psychological too: in an age of more socially fluid and meritocratic societies, which sharply divide winners and losers, how can most people be valued and recognised and feel able to lead purposeful, successful lives? [...] Collier can be a bit slapdash with his facts and perhaps tries to cram too much into one book, meaning some ideas feel half-digested. He has a good turn of phrase, though, and can be witty too, on the social bias of Spellcheck for example. This book is not an easy read but it is an important one"
"Committed to the philosophy of pragmatism, what works, Mr Collier argues that we must reintroduce ethical concerns into our economic thinking and use that to design policies that will tackle the fundamental problems of contemporary capitalism. The result is to develop a more communitarian and socially materialistic capitalism that seeks to bridge the geographical divides between urban and provincial Britain. Mr Collier is critical of the influence abstract moral philosophies have had on economic discourse. 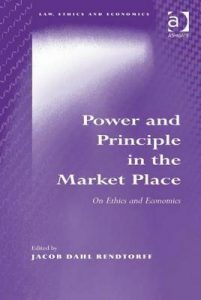 [...] Collier convincingly argues that an ethical capitalism must satisfy the ethical concerns economic agents have rather than satisfy the demands placed upon it by the morals of the philosopher. [...] Collier also convincingly argues that a communitarian outlook is needed to counter the excessive effects of individualism. [...] Collier ventures too far into the social conservative camp for my liking, his philosophy of pragmatism is a tool to justify such conclusions without engaging in ideological discussion about socially conservative values. Mr Collier falls into the trap of thinking that socially conservative values are just common sense. They are not." 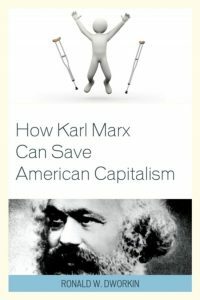 "With its ruthless focus on profits and its increasingly unequal distribution of income and opportunity, he argues, Anglo-American capitalism has forfeited much of its economic, political and moral legitimacy. Collier puts much of the blame on ideologues of the left, with their excessive faith in government, and those of the right, with their excessive faith in unregulated markets. His pitch is for a return to the kind of pragmatic, centrist communitarianism that characterized the years immediately after World War II, when the focus was on shared prosperity and reciprocal obligations that enhanced trust and cooperation. [...] The Future of Capitalism has the discursive charm of a lecture delivered by a well-read and slightly acerbic Oxford don. An American reader might find it a bit academic at times, or Anglo-centric. And readers everywhere will be rightfully skeptical of his proposal to make corporate directors legally liable when they ignore the public interest in their private-sector decision-making. Much better is his idea to raise taxes on those who benefit undeservedly from modern capitalism. [...] All that extra revenue he would recycle to the Youngstowns and Sheffields of the world, not for higher welfare payments but to jump-start the creation of new industrial clusters that could create fulfilling jobs for those being left behind. There is nothing socialist about Collier’s critique or his prescriptions — like Adam Smith, the oft-misunderstood father of modern economics, he’s about restoring a moral sensibility to a market system that is falling short of its potential." According to Collier "the best option is to cultivate inclusion through 'a sense of belonging to the same place'. This feels curiously incomplete given the recognition of multiple cultural identities jostling inside the modern state. How this variety of identity can unite around a sense of shared place is not made clear. The author acknowledges this conundrum when he writes 'space binds us through public policies, but it is no longer binding us socially'. However a weak start is compensated by the development of the intriguing concept of 'social maternalism'. This is a recipe for an active state, but not necessarily a big state. [...] The claim that 'the philosophical bedrock of this agenda is a rejection of ideology' is an eerie echo of political philosophies that have made a virtue of pragmatism. Any reasonable action will be contemplated if justified by an improvement in the common good. But this does not ring true. The mere acceptance of a mixed economy, the acknowledging of a particular balance between state and individual, is a statement of political belief. [...] The combination of a philosophical framework and specific policy suggestions is rare. So, to describe this thinking as pragmatism or practical reasoning, is either too modest or slightly disingenuous. [...] This book, in addition to other works such as The Entrepreneurial State by Mariana Mazzucato or Start Again by Philip Collins, seeks to make the case for mixed economies more capable of responding to social fractures and economic divides. This thinking is suffused with a yearning for a potentially elusive sense of place." According to Collier "the patriotic legacy of the second world war allowed Western countries to combine the strengths of the market with a protective web of reciprocal obligations, most notably via the welfare state. By the 1980s, however, two toxic ideologies were ascendant. One was modern economics, which, Mr Collier says, assumes individuals are selfish and rootless, and which argued for a freewheeling kind of globalisation because it is efficient. The other ideology came from centre-left parties that stopped caring about families and communities. Instead they urged people to claim a proliferating set of rights and promoted 'new victim groups seeking privileged treatment'. [...] The task is to find practical answers: 'ideology is a menace.' A first step, he argues, is to reframe rights and responsibilities. In some circumstances society has a duty of rescue - to refugees, for example, or teenagers trapped in dead-end jobs. But in most domains the governing principle should be 'reciprocity'. He applies this concept in various contexts. Families should look after the old and young. Firms should be loyal to their staff. At the national level, rich metropolises should share more of the spoils with laggard cities; migration must be calibrated to benefit the host population. Some of these ideas work better than others. [...] Yet the question left hanging is whether those old virtues still appeal. Social media has polarised electorates; it will be hard to turn the clock back on individualism. Successful 'onenation' politicians are rare. [...] Mr Collier knows what he wants - but do voters want it, too?" 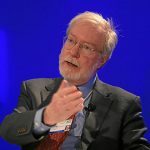 Sir Paul Collier is Professor of Economics and Public Policy atthe Blavatnik School of Government and a Professorial Fellow of St Antony’s College, University of Oxford. From 1998–2003 he took a five-year Public Service leave during which he was Director of the Research Development Department of the World Bank. He is currently a Professeur invité at Sciences Po and a Director of the International Growth Centre. Recent books include The Bottom Billion (Oxford University Press, 2007); Wars, Guns and Votes: Democracy in Dangerous Places (Vintage Books, 2009); and The Plundered Planet: How to reconcile prosperity with nature (Oxford University Press, 2010); Exodus: How migration is changing our world (Oxford University Press, 2013).